AASHA JYOTHI WELFARE ASSOCIATION FOR DISABLED is located in visakhapatnam Andhra Pradesh . AASHA JYOTHI WELFARE ASSOCIATION FOR DISABLED is registered as a Society at Hyderabad of state Andhra Pradesh with Ngo unique registration ID 'AP/2014/0085098' . 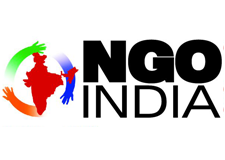 The NGO registration is done by Registrar of Societies with registration number 5 of 2012 on the date of 06-08-1972, Its parent ORganaisation is PaulFoundation. The Chairman of AASHA JYOTHI WELFARE ASSOCIATION FOR DISABLED is T SHEELA and Chief functionary officer is K MARY. Promoters are T MALLIKA, A VIJAYAMMA, Ch Swarna Babu,. Aasha Jyothi Welfare Association for the Disabled, Visakhapatnam is continuing to achieve its objective of rehabilitating the children with disability. With better educational environment it is moving ahead in providing qualitative services. We are fortunate to upgrade our techniques and department to enable the children get better rehabilitation services. We hope to achieve continue and improvising on our services for the empowerment of the disabled with the support of Ministry of Social Justice and Empowerment, New Delhi.